If you’ve ever met us at a conference, joined us at a hackathon or even if you just visited our developer portal, we’ve probably told you to sign up for our 90-day free trial. It’s kind of what we do. We’ve got amazing map and location APIs and we want you to give them a try. In the past, the trial was fine. You got access to most of our APIs and you got 100.000 transactions per month. Like I said, the trial was fine. Of course, as its name implies, the 90-day trial expired after 90 days. This meant you had to sign up for the “Basic” plan and, well, that wasn’t fine. In fact, it was positively…basic. You lost access to all our advanced APIs, the Premium SDKs and your free transactions per month plummeted to 15.000. Even signing up for one of our paid plans didn’t restore your access to the advanced features. Like I said, it wasn’t fine. You could almost say it was mildly disagreeable. Well, I’m happy to report that the 90-day free trial is gone. So is the Basic plan. And all the other mildly disagreeable plans. They’ve all been replaced by one straight-up amazing plan. Freemium means that you will get 250.000 transactions per month. For free. Yep, free. Not even a credit card required. Freemium means that you will get access to all our APIs. There are a few—a very few— exceptions that we’ve set out clearly here. But there is no more difference between “standard” and “advanced” features, no more whitelisting, no more problems. There’s more cool stuff, like how we’ve opened up what type of applications you can build for free to include mobile asset management and in-vehicle integration. Like how we’ve stopped charging you a different price depending on what you’re doing. And like the competitive pricing for transactions once you get past the 250,000 limit. This really is industry-leading stuff. It goes without saying that everyone gets access to this. Have a Basic plan? Congrats, you can get Freemium now. Did your 90-day trial expire? Congrats, you can get Freemium now. Have a paid plan? Congrats, you can get Freemium now (and probably save a lot of money). 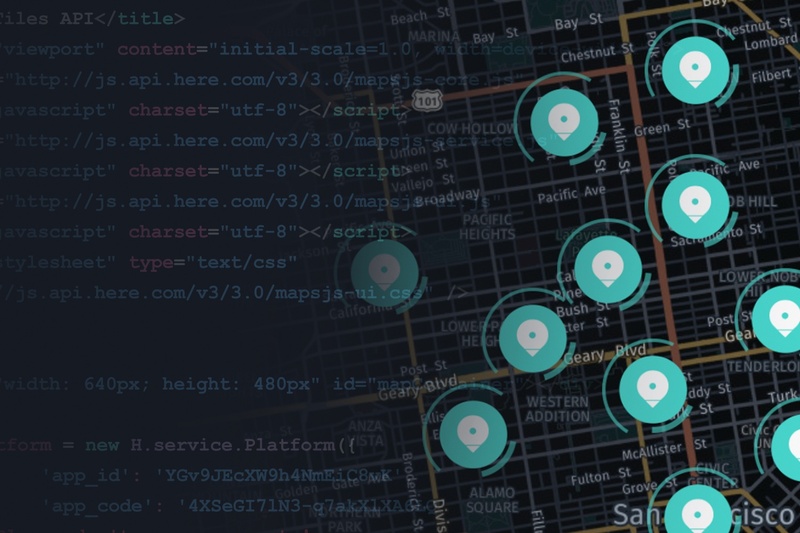 I think what I’m most excited about is how you now get access to our entire suite of map and location APIs, including some of our advanced features like isoline routing and geofencing. Isoline Routing, though it may be hard to infer from the name alone, allows a request for a polyline that connects the end points of all the routes leaving away from a defined center point with either a specified length or a specified travel time. Maybe that’s not easy to infer either. Let’s try this: an isoline will show you the difference between how far you’ll get in 20 minutes if you travel local roads compared to the expressway. Another advanced API is Geofencing. Say you have a vehicle that should be operating on a certain route, or in a certain area. Likely, you do not want your vehicle to deviate from the route you’ve set. You can use the Geofencing Extension API to set up an alert if that vehicle gets off track, or if it leaves a defined area like a warehouse or a harbour. Similarly, you can use geofencing to reverse this case and alert when things are getting close. If you are operating a loading dock and you’re planning the order that trucks will pull into bays and your crews need to be ready, the Geofencing Extension API can be used to alert when the next truck is 10 minutes away, and your crews can prepare appropriately. Frankly, all of this is awesome. This is genuinely awesome, and I can’t wait to share our capabilities with you. When you’re ready to get started, come and sign up at https://developer.here.com/plans – Thanks!